A small 11th-century church that was rebuilt in the Georgian period. 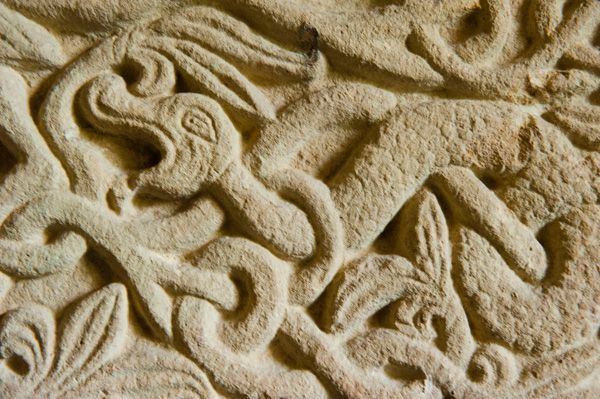 The most intriguing historical features are a pair of 12th-century carvings in the vestry. 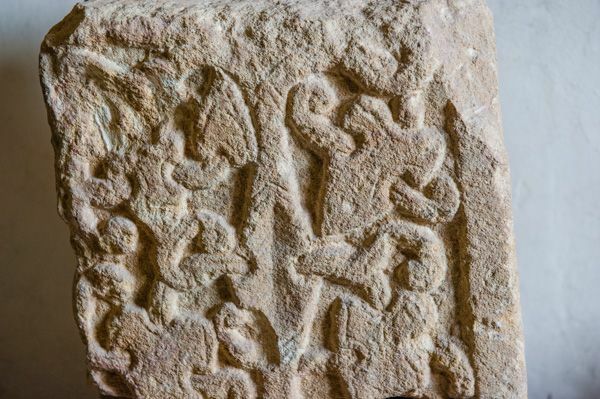 The first is a stone cross with a carving of Christ holding hands with an unknown figure. This may have been part of a larger scene depicting the Harrowing of Hell. 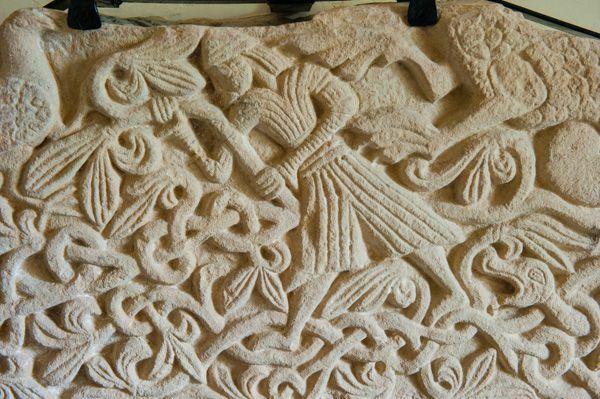 The second, better-preserved carving is a beautifully carved tympanum, decorated with a variety of figures including a bird, dragon, snake, and a soldier in a kilt. The figures are surrounded by intricately designed foliage. This truly is an exquisite piece of craftsmanship. The carvings were discovered during restoration work in the 1980s, being used as rubble to fill in a blocked up door. 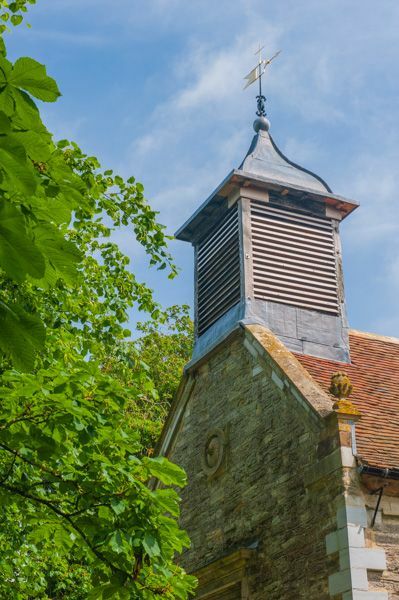 The ancient Saxon church was rebuilt in 1692 to form the building we see today. The interior is traditional Georgian, with box pews and a west gallery overlooking the nave. 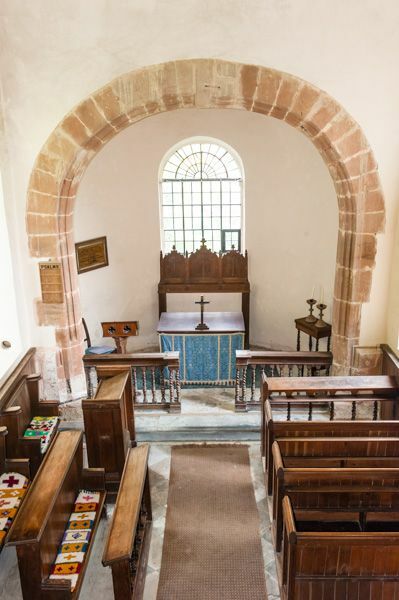 There is a fireplace and circular window in the south transept to show where the squire's family pew was located. 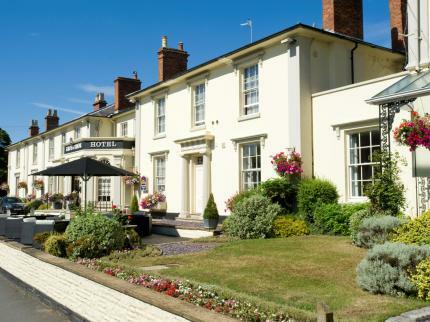 The squires lived at Billesley Hall, now a hotel directly beside the church. Tradition holds that All Saints was the location for William Shakespeare's wedding with Anne Hathaway. 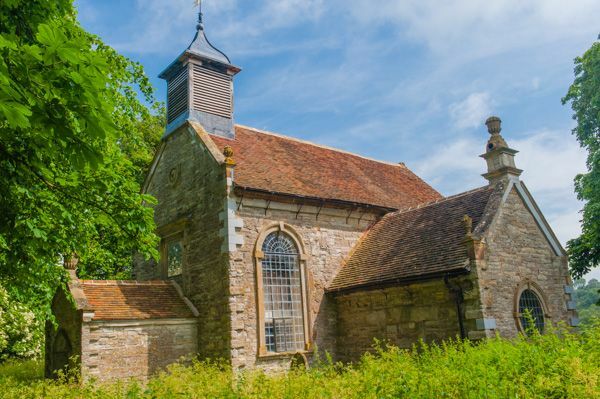 Unfortunately, several other churches in the area make the same claim, and there are no parish records from the period to support or refute any claim, and they can't all be right! There is one bit of circumstantial evidence to support the notion that Shakespeare was married at Billesley however. His granddaughter Elizabeth chose Billesley to wed Sir John Bernard in 1649. Neither the groom nor the bride were natives of Billesley so there seems no logical reason they should choose All Saints church unless there was a strong sentimental tie to the village. So perhaps Shakespeare and Ann Hathaway once stood before the simple altar of All Saints church? 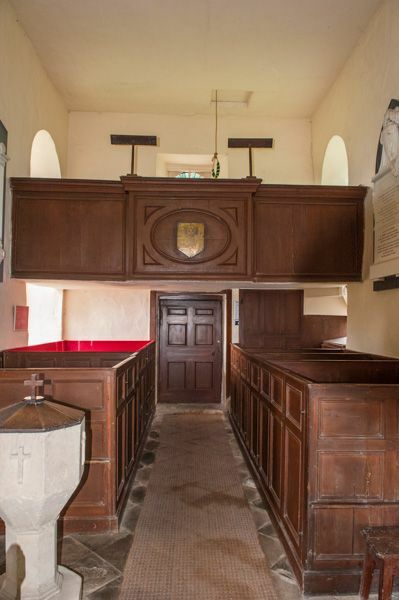 All Saints is no longer in regular use for worship and is now cared for by the Churches Conservation Trust. In theory, the church is open during daylight hours but when we visited it was locked. 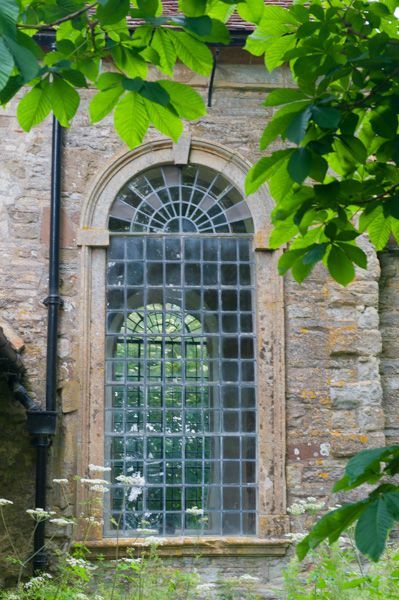 Not to worry; a sign in the church porch told us to fetch the key from the reception desk of Billesley Manor Hotel. There was no obvious way to reach the hotel, which we could see over high walls outside the churchyard, but I took a gamble on a small, slightly overgrown path that led from a corner of the churchyard and bent around the wall out of sight. Sure enough, after a few twists and turns, I found myself in the hotel drive. It really is no more than a two-minute walk from the church door, and the receptionist was very friendly. The first striking feature of the church as you enter is just how small it is; it seems like half a church, with an extremely short, apsidal sanctuary. To my delight I found that we could climb the stairs inside the door to reach the west gallery, which provides a wonderful view down the nave to the altar, and also gives a good view over the farm field beside the church, where, with some imagination, we could make out remains of the long-lost medieval village of Billesley Trussell. In 1100 there were over 100 inhabitants of Billesley Trussell, but by 1428 that number had shrunk to only four! By the end of the 15th century the village was completely deserted. The last Trussell to own Billesley Manor was Thomas Trussell, but with the decline of the village and the subsequent loss of income, times were bad for poor Sir Thomas. In 1588 he turned to crime and was arrested while attempting to commit highway robbery in Bromley, Kent. The manor of Billesley was seized by the crown. 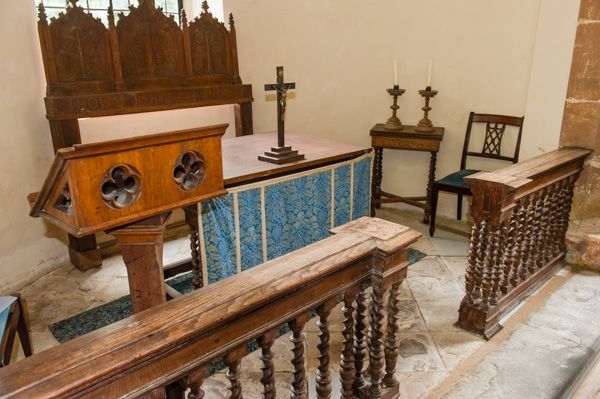 A vicar continued to be nominated until 1624, but a few years later a visitor said of Billesley 'there is no more left than the Mannour house, and scarce half the church that antiently stood there'. 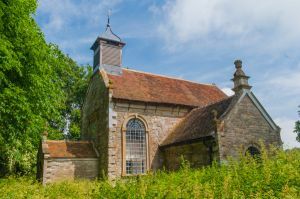 In 1692 a saviour arrived in the form of Bernard Whalley, who had the church renovated so that it could serve as a chapel for the nearby manor. This is a delightful country church. I wouldn't call it awe-inspiring, or compelling; rather it is a lovely little piece of history, half-forgotten, mouldering away in comfortable obscurity, in an idyllic location. Location: 4 miles west of Stratford-upon-Avon, off the A46. Follow signs to Billesley Manor Hotel.